* Buy signal for DAX. Only the Nikkei remains in bearish mode. 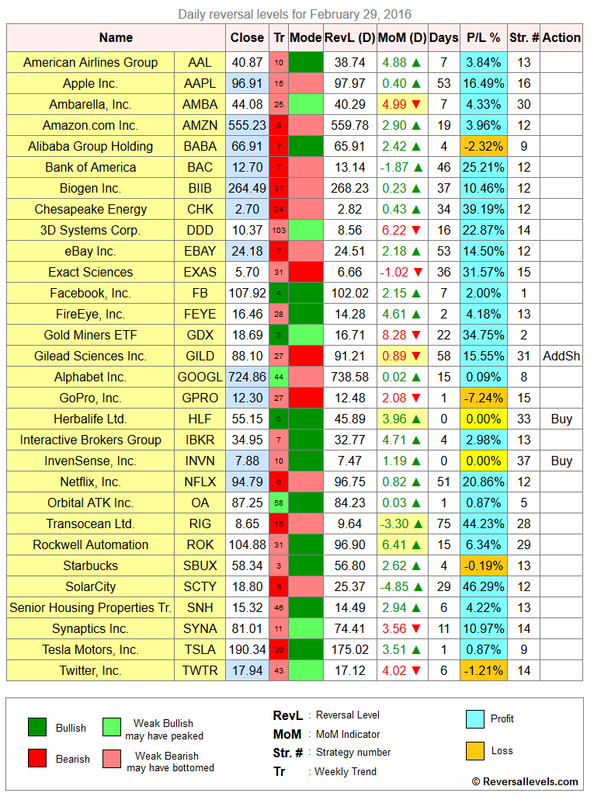 * Buy signal for HLF and INVN. 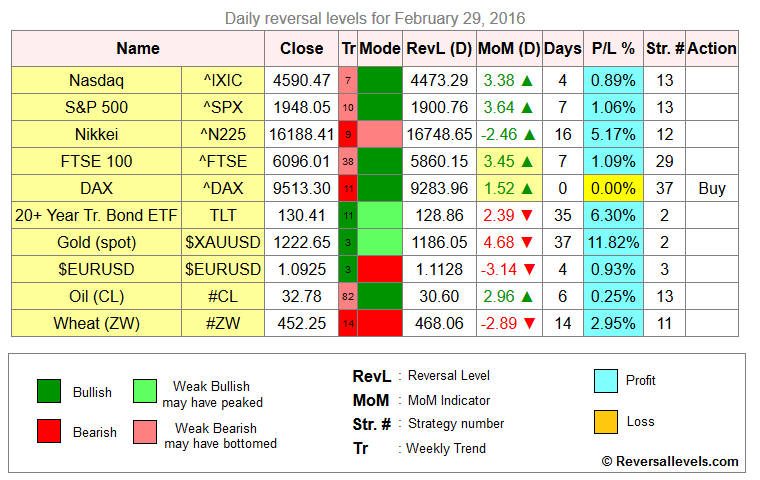 Weekly reversal levels for February 27, 2016.